One of the great things about living in today’s world is the massive amount of entertainment options available. At the same time, however, it seems like every year the televisions get bigger and the amount of gadgets connected to them doubles. 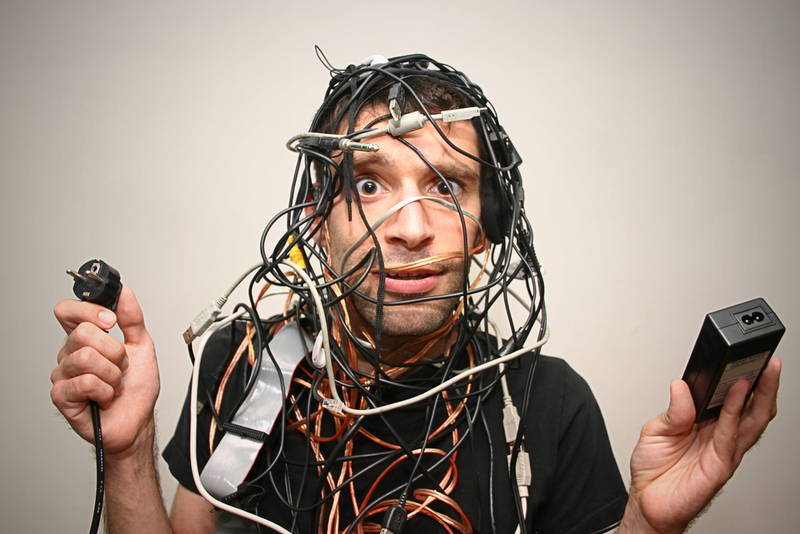 And the cables and wires that come with all of your devices are a nightmare to untangle, much more organize and manage! Imagine a system perfectly designed with your electronic needs in mind: every game console seamlessly integrated with your television in its own nook, the Blu-ray player in its own space rather than precariously perched from the top of your television, your books in a perfect line, the pages intact – it is the fantasy of technophiles, television fanatics and homemakers everywhere! As the number of electronic platforms we use increases, your need for a solid entertainment system is going to increase as well. There is nothing worse than sitting down to watch a movie and being constantly annoyed by the amount of clutter surrounding your screen. This is a problem of the past if you take the time to invest in a way of organizing your entertainment media. Remember, your entertainment system is likely the focal point of your home. It is most likely in your living room where your family and friends gather. Therefore having an aesthetically pleasing, yet utilitarian entertainment system is very important. At Boston Closet Co. we take the time to learn about your needs before we offer a solution. Our hope is that your involvement in the design process will let us create a product that is both useful and decorative. DVDs, Blu-rays, CDs, Records, etc. We can design your custom furniture to fit your room of choice as well for optimum use. The more organized and beautiful your home entertainment unit, the more relaxed and content you will be enjoying it. During a free, no-obligation consultation with Boston Closet Company, you and one of our professional designers will discuss storage solutions for your home. We will work with you to create the perfect piece of furniture to compliment your home décor and store your media. Contact us today for your free consultation.